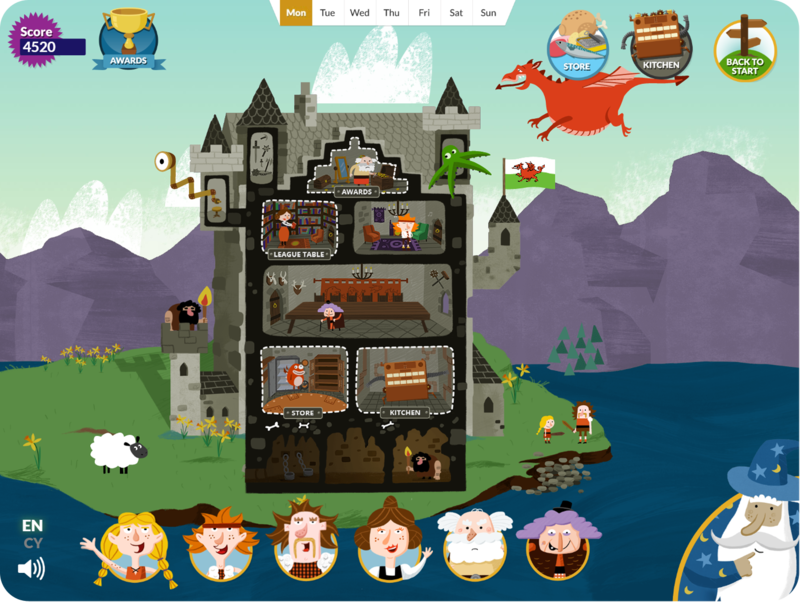 Food Standards Agency Wales and Public Health Wales welcome you to CookinCastle, an interactive game intended to teach and promote healthier eating and good food hygiene practices to children aged approximately 8 to 11 years old (key stage 2). This resource was originally develped by Food Standards Scotland and has been adapted to support the curriculum in Wales. CookinCastle aims to support the delivery of healthy eating and food safety messages in line with the National Curriculum in Wales. The website is intended for use in schools and/or at home and re-play is encouraged by some healthy competition on the leader board. It is our hope that additional games and tasks can be added to the website, in addition to updates, new resources and information for teachers. A teacher guide, found on the teacher tab, contains tips and useful information for using the website. Additionally, you can find information on the eat well guide and food safety information in the teacher tab, along with our other school resources. We hope you and your pupils enjoy playing the game and don’t forget to try and come top of the league, you and your pupils will be rewarded with CookinCastle certificates.